Family owned since 1949, and now in the 3rd generation. 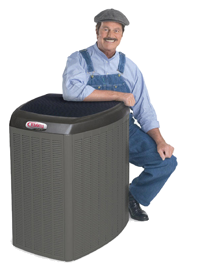 Specialize in the installation of Heating & A/C systems in new & existing homes. Service all brands of heating & air conditioning equipment. 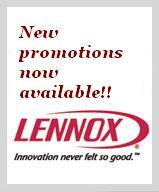 Specializing in quality Lennox air conditioning & heating products. Service contracts - residential and commercial. Our motto is "We sell the best and service the rest"
Any and all HVAC problems or questions can be answered by Electro Aide's experts. Estimating, installing or servicing of central heating and cooling are our speciality, including precise duct work and custom sheet metal fittings, designed by our inhouse Engineer. None of our installations are subcontracted. You are dealing with 1 company only no matter how large or complicated the job is. After all we have been serving Montrealers for over 60 years now. The LENNOX philosophy is to design and build the best products within the HVAC market, backed by one of the best parts & labour warranties. Air conditioning - ducts / no ducts - no problem. Heating - heat pumps & high efficiency furnaces. How to improve indoor air quality.